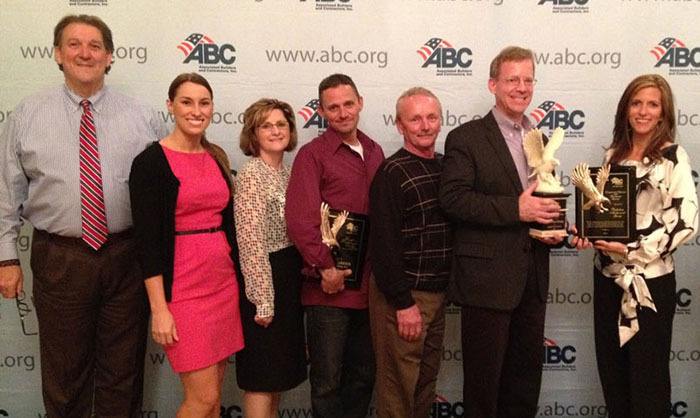 We are excited to announce that Perfection won three Excellence in Construction awards from the Ohio Valley Association of Builders and Contractors (ABC) on April 25, 2013. 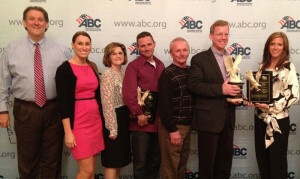 ABC is an organization of merit shop contractors of all trades. Eagle Award for Excellence in Construction (Commercial under $2 Million). We submitted our Auglaize County Courthouse renovation which included a conversion from steam heat and window unit A/C to a new energy efficient water source heat pump system with dedicated outside air units with energy recovery wheels. Community Service and Outreach Award for our efforts in Kids Against Hunger, Hoxworth Blood Drive, Toys for Tots, Adopt-A-Family, and Push for Pencils. Billy Carrier won Craft Professional of the Year for his exceptional efforts in the field.